Garage: Double, Detached "Ground Level Parking with tandem parking"
Single level three bedroom, two bath condominium which features spacious bedrooms with full size closets and views to the golf course. Large master suite with a Jacuzzi tub, travertine shower, double granite counter top sinks, walk-in closet and views to the ocean with direct access to the ocean view terrace. This unit is priced unfurnished but does include all electric appliances. Open floor for the kitchen, dining and living area. The kitchen features a granite countertop island as well as stove, wine bar fridge, dishwasher and refrigerator. Recessed lighting throughout with elegant finishes which is a standard the Santa Barbara at Bajamar units. 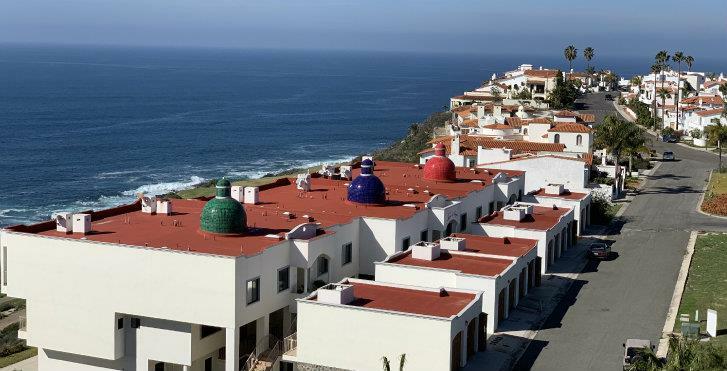 Santa Barbara is a private 24 unit, ocean and golf course view condominium located in the southern point of Bajamar. The building features secure access with covered first floor parking for all units, central elevator, large pool and Jacuzzi, fire pit and bbq area for you and your guests. Gated Secure Community 27-hole Golf Course On-Site hotel, restaurant & bar. Great location! Just 50 minutes south of the San Diego, US border. from the US border 30 minutes from Valle de Guadalupe, Mexico's famous Wine Country.